Support WIN NT/2000/XP/Vista/7 virtual COM driver. Support UNIX & Linux real TTY driver. Support WEB,TELNET and terminal setup. 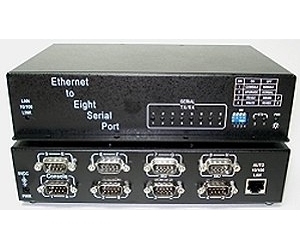 Support eight RS232 serial port with 5V power out in pin 9. Suitable for bar code reader or scanner application environment. Support current limitation feature in 5V power out.